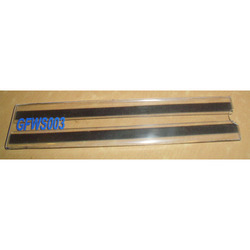 Acrylic Name plates are useful in hospitals, industries, households, software companies etc. Many categories of nameplates are available. They can be customized to suit your needs. We are instrumental in the manufacturing and supplying of optimum quality Wall Mountable Name Plates. These name plates are manufactured in compliance with industry set parameters using good quality raw materials. Offered name plates undergo several quality check points by the quality controllers, before their final dispatch. Moreover, we offer these name plates in user defined specifications. We hold the specialization in the manufacturing and trading of premium quality Custom Made Name Plates. 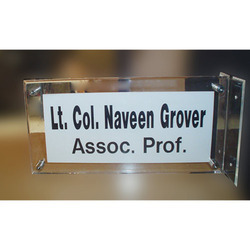 Offered name plates are manufactured using quality tested raw material with the incorporation of latest technology and excellent quality workmanship. Known for their unmatched quality, seamless finish and durability, these name plates are highly demanded by the clients. We are one of the leading manufacturers and traders of Cubical Name Plate that can be availed in customized sizes as well. These lightweight names plates can hold two sheets on both the sides to offer double sided viewing. The offered range of quality grade name plates is widely appreciated for its excellent finishing and easy to maintain attributes. Standard Sizes Available: 12”x4, 10”x4”, 8”x 4”, "6x4"
We are engaged in the manufacture and trade of a wide collection of Acrylic House Name Plates that are provided with the logo. Made available in customized sizes, these name plates are apt for offices, schools, colleges and other places. We make sure that the preset industrial guidelines are followed, while manufacturing these high durability and easy to fix name plates. Our company is engaged in the manufacture and trade of Acrylic Glass Name Plates that can be availed in several specifications to cater to the diverse requirements of our customers. These side inserted names plates are appreciated for their supreme finishing, lightweight and superior quality. 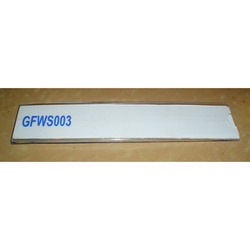 We provide the offered range of easy to maintain name plates at industry leading prices. Owing to our knowledge and expertise, we are engaged in the manufacturing and trading of optimum quality Custom Acrylic Name Plate. These name plates are precisely manufactured using good quality plastic and metal in accordance with industry set parameters. Offered name plates are appreciated among the clients for their seamless finish, classy look and longer service life. Moreover, our customers can avail these name plates at affordable market prices. 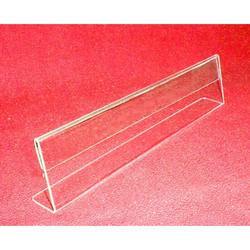 Medha Acrylics is one of the preferred names that provide Horizontal Name Plate Acrylic Sign Holder with sturdy base. Manufactured in several specifications, these name plates are quite suitable to be kept at the table of offices. L type names plates are provided with side insertion of sheets and find wide appreciation for their lightweight and flawless finishing. 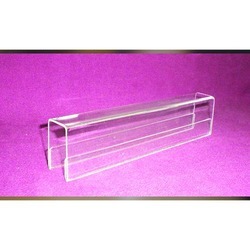 We are engaged in the manufacture and trade of Acrylic Name Plate Holder that can be availed in several standard sizes. Beneficial for double sided viewing, these name plates are provided with side insertion on both the sides. 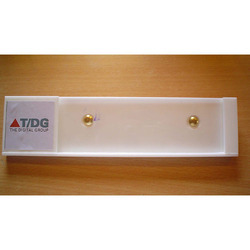 Widely used in offices, hospitals, schools and colleges, these name plates are extremely popular among our customers.